Almost there! 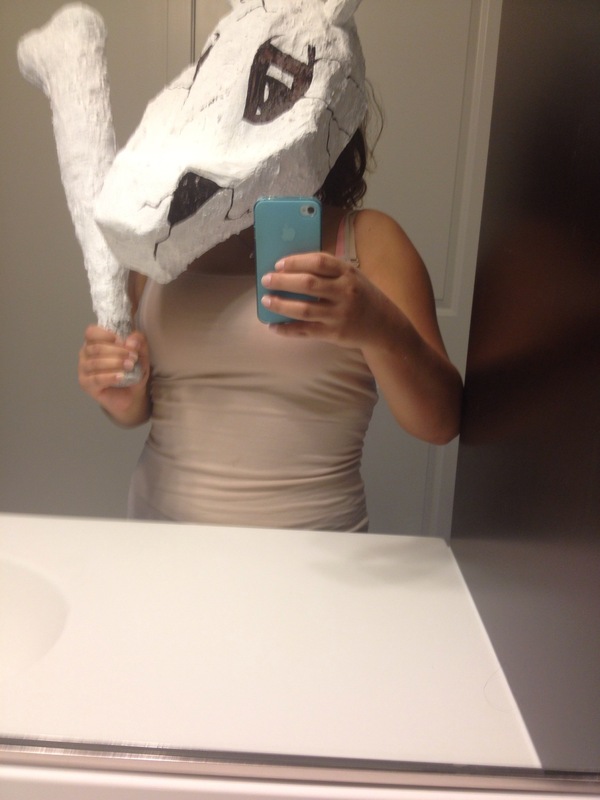 The mask for the most part is finally complete! I just paper mâchéd my bone and painted it white. I still need to paint the bottom tip. Once it’s all dried I can add the cracks and I’ll be done! I’m still debating to ad my tail or not. We are planning on going to Salem and we are told the festivities there are bigger than the NY Halloween Parade. We’ll see about that! Salem, let’s see what you got! 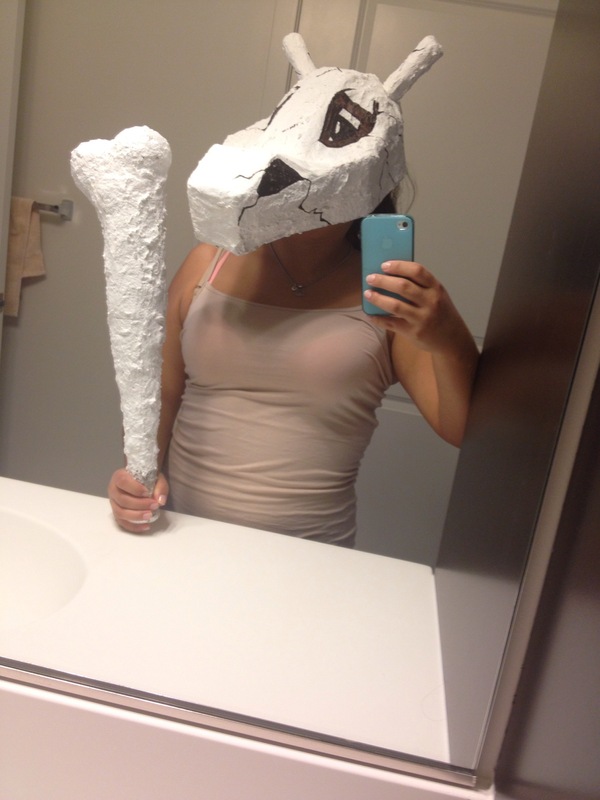 10 replies to Cubone cosplay almost complete! My husband is more into steampunk so hell cosplay from that era. He saw what i liked doing but i was shy to go to xonventions b/c none of my female friends like that. Thanx to him hes been bringing me to conventions. I went to animenext a few months ago as dark stalkers’ morrigan and that was my real major first project. I had a lot of fun doing that of course i need my mom and aunts help withthe sewing so thank goodness for moms, right?! Lol my next one i want to do is fatal furys’ mai.